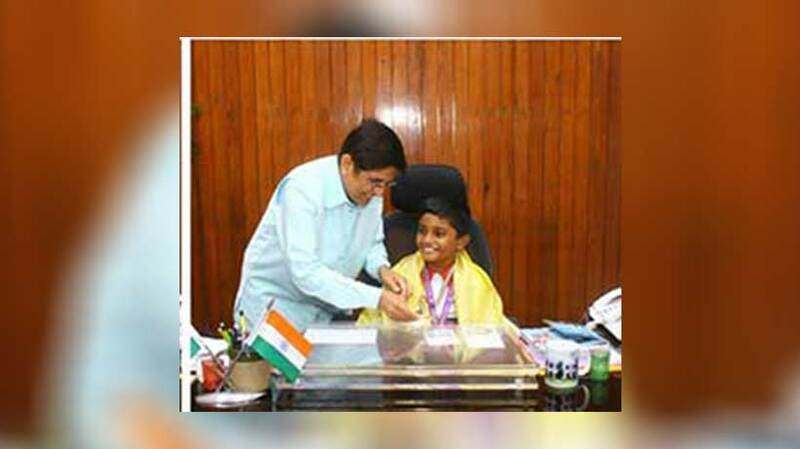 In a rare and heart-warming gesture, Puducherry Lt Governor Kiran Bedi, Lt.Governor of Puducherry made a Grade II boy to sit in her chair to honour him for his international achievements.R Rackshn, of Acharia Bala Shiksha Mandir in Puducherry, was the topper internationally in the English curriculum section of the seventh edition of Science Olympiad Foundation (2016-2017). He was then in Grade I.
Rackshn won this ranking by competing with millions of students from 1,400 cities in India, besides those from 25 countries. As a gesture of honour, Kiran Bedi made him to sit in her office chair.